Trade shows are expensive and time-consuming investments. There is so much to take into consideration, including registration fees, booth rentals, staff travel, and freight shipping costs. Yet, despite the challenges, trade shows are an indispensable tool when it comes to growing your business. Trade shows allow you to gain brand exposure, attend educational workshops, check out the latest trends (as well as your competition), and most importantly, write multiple orders and obtain new leads – all in the span of a few days. Optimize your next trade show with these expert tips that will help you get the most out of your exhibit! Don’t let your booth visitors walk away empty-handed. For some industries such as food or personal care, it’s easy to offer samples or trial sizes to the attendees. 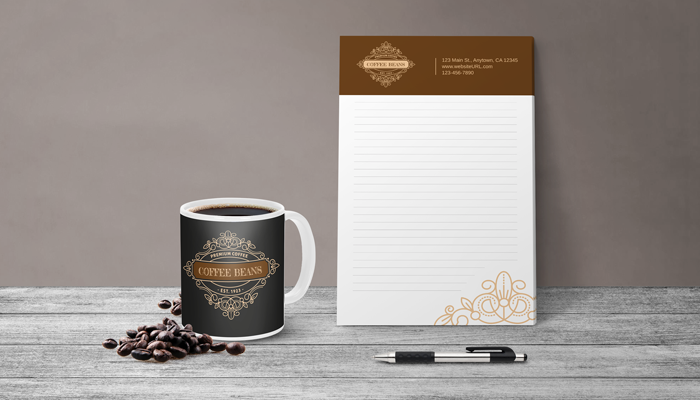 If product samples are not practical or economically feasible, there are plenty of affordable alternatives, like branded notepads, custom mugs or tote bags. Many retail buyers prefer to browse the entire show before making their final purchasing decisions, so have plenty of brochures or catalogs available for them to peruse at a later time. 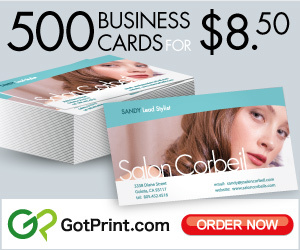 Don’t hesitate to ask for a business card in exchange for a catalog – buyers are used to it, and you will be able to follow up with them after the show. Building a custom booth can be prohibitively expensive for many small businesses, but you can easily give your exhibit a personalized look with the help of high-quality signage. Save money by printing your business name and logo on vinyl banners to hang against the back wall. Highlight new products on foam boards and use framed prints to display notable press and media coverage. 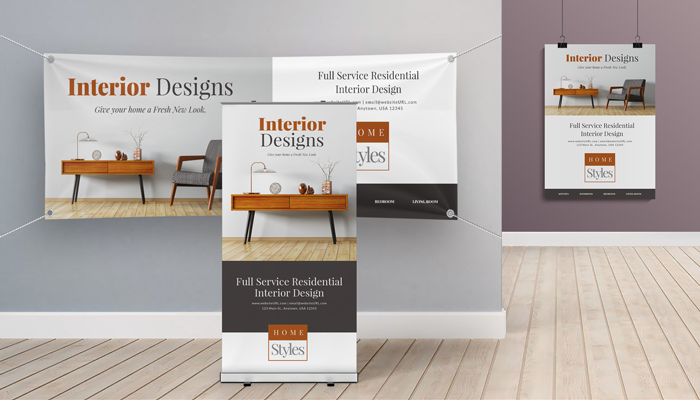 Set up a large retractable banner near the booth entrance to showcase your company’s unique features and advantages. Few things attract a crowd like a live demonstration, especially if you are able to get onlookers involved. For example, cosmetic companies can give out free makeovers every hour and cookware manufacturers can have their employees cook easy dishes like pasta or fried rice. If an in-person presentation is not practical, set up a large screen and have an explanatory video on loop instead! You want to maximize your sales to help offset the costs, so come up with an enticing offer that encourages buyers to place orders on the spot. For example, you can offer 10% off or free shipping for orders placed at the show. One of the most creative trade show promotions I ever came across was a buyback guarantee – for all orders over $5,000, the vendor promised to buy back any merchandise not sold within 60 days. If you have extra space, consider setting up a casual lounge area complete with coffee, light snacks and a desktop charging station. 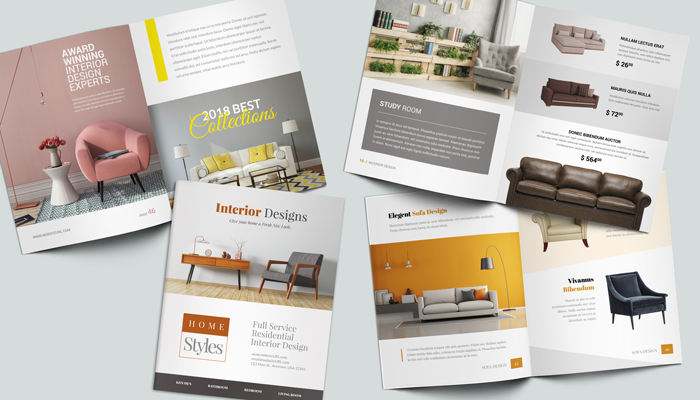 The caveat here is to not inundate anyone who sits down to relax with an aggressive sales pitch, but rather set out a few catalogs or booklets for them to browse. Chances are they will be appreciative of the amenities and be the first to strike up a conversation. A giveaway for one of your signature products, swag bag or other cool prize is a fun way to draw people into your booth. Have participants do something memorable and interactive to enter, such as posting a selfie on social media with your product or doing a comparison test of your product versus a competitor’s. If the trade show allows it, ask a business owner in the same industry (who is not a direct competitor) if he or she is interested in splitting the cost of a large corner booth. This will be a win-win, as both companies will save money and benefit from having a more conspicuous location and a broader array of merchandise. 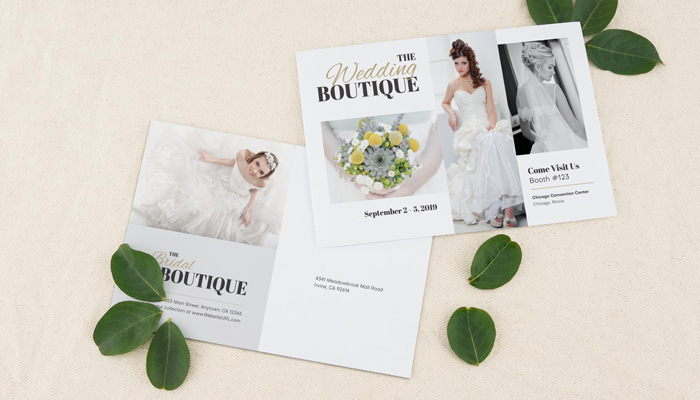 Make a comprehensive list of retailers around the country that you think would be a great fit for your products, then get a head start by mailing each of them an invitation postcard with your booth number. A beautifully-designed and well-targeted invite could prompt a buyer to add your booth to their list of must-see vendors. Don’t forget to include your wholesale website information as well, in case some of the recipients decide to skip the show this time around. Of course you hope to open hundreds of new accounts at each show, but it’s important to prioritize your existing relationships as well. Call or email your best clients prior to the show to set up appointment times during which they will have your undivided attention. As any seasoned trade show veteran will tell you, this is one of the most reliable methods to generate high-value orders.